Display Innovations now offers 42’’ or 43″ digital A-board displays bringing eye-catching, changeable images or video to what was previously a static sign. 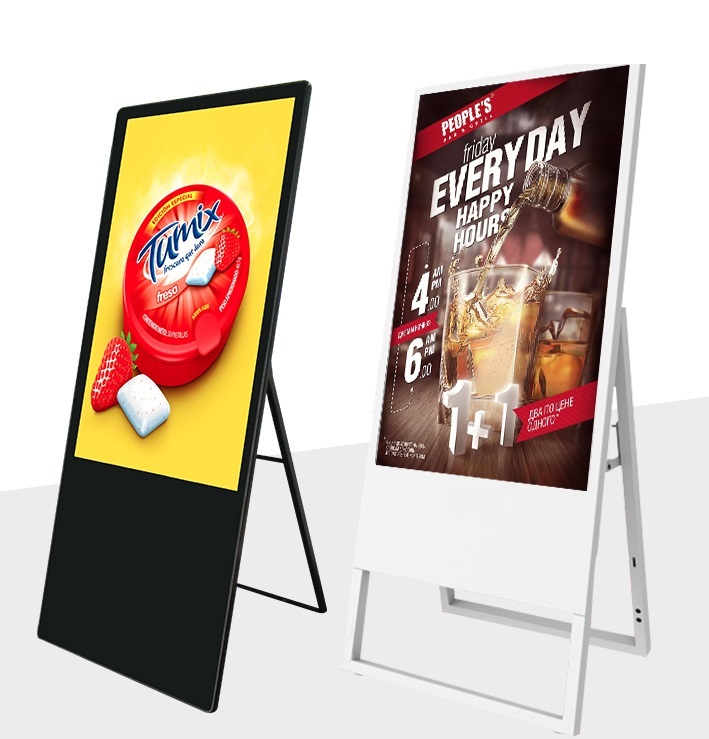 These slim digital A-Board displays are lightweight, portable and foldable. They are also available in a range of colours and can be branded. The high resolution screens can play HD content on a loop or can even be remotely updated via a built-in android operating system. Auto-start and Loop functions are pre-programmed so the content will automatically start and play on a loop when powering on the device or replacing the input device, without needing to access any settings. Multiple input options available – USB, SD Card, HDMI, etc. All products are custom made and therefore, we can amend the brightness, input types, input position and any other aspect of the specification to suit your requirements.